Carolina is committed to ensuring that deserving students can study here regardless of their financial circumstances. At the same time, we actively compete with our peer institutions for the country’s top high school students. We have remained true to that vision since our founding. But threats loom. Public funding for financial aid dwindles, and limits have been placed on the share of tuition revenue that we can return to students as need-based aid. All the while, leading private universities, recognizing that talent can be found in low- and middle-income households, are enriching the aid they offer to the few needy students they admit. More and more schools, including those we haven’t traditionally considered as competitors, are using their merit scholarships to take superior students away from our University and our state. And a scholarship isn’t even needed at many elite schools—they now offer grants to close the affordability gap for families. So private scholarships grow ever more critical to our ability to ensure access and compete for the best and brightest. Gifts to the Cornerstone Fund enable us to meet a diverse range of financial needs and qualify for a two-to-one match. 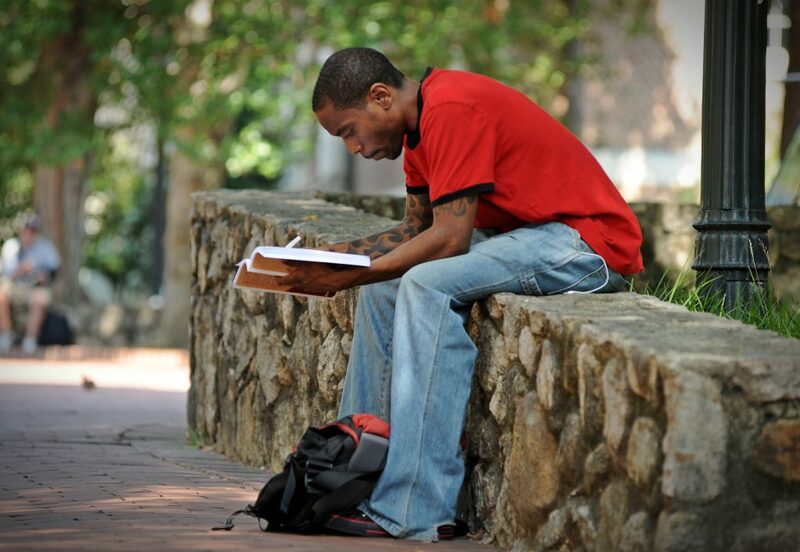 The Carolina Covenant enables low-income students to graduate debt-free if they work on campus in Federal Work-Study jobs. Need-Based Scholarships provide the essential leg-up that gives promising students the chance to pursue their dreams. The Carolina Opportunity Fund supports the Carolina College Advising Corps and the Carolina Student Transfer Excellence Program (C-STEP), which work across the state to increase college-going rates. The nation’s first merit scholarship program, the Morehead-Cain, brings tremendous prestige to the University. The comprehensive Carolina Scholarships program is designed to attract the most qualified students from the state and nation. Carolina Innovation Scholarships support students who show outstanding promise as entrepreneurs. Chancellor’s Science Scholarships provide a pathway to success for highly able students who aspire to become leading Ph.D. and M.D. scientists. The Chancellor’s Recruitment Fund enables the Office of Undergraduate Admissions to recognize talent and persuade unsure students to come to Carolina. Carolina Works provides jobs during the academic year for undergraduate students, regardless of whether they qualify for need-based financial aid. The Dean E. Smith Opening Doors Fund honors the legacy of the legendary coach by making college a reality for outstanding undergraduates from lower-income families and enabling professionals in education and social work to pursue advanced degrees. Make your gift now. The Eve Carson Junior-Year Merit Scholarship celebrates and remembers Eve’s love for the University and its students. Make your gift now. The Carolina Family Scholarship provides need-based tuition scholarships to Carolina employees’ children who wish to attend a UNC system school or North Carolina community college. Make your gift now. Gifts to our Unrestricted General Fund – Scholarships go where they are needed most at any given time, for need- or merit-based awards. Make your gift now. The Best Way to Give? Your Way.